SCL Mortgage is a young, quickly growing mortgage company based in Lone Tree, Colorado and has an immediate opening for an experienced Loan Processor. The Principal of the company has over 30 years in the industry and has a reputation of growing successful origination platforms. SCL originates Conventional, FHA, VA, Jumbo Loans, Bridge Loans as well as SCL or Non-Prime Loans. SCL is a very fun place to work in a casual environment with unlimited growth potential for the right person. We require at least two years of processing experience and the proven ability to run both DU and LP. SCL has Loan Officer Assistants who you will be working closely with to move loans through the system as efficiently as possible. You will also be working with the Loan Officers and the LO Assistants to properly structure files, agree on the necessary documents required for the Investors to approve our loans. Our processing software is Calyx Point which you will need to be familiar with. Candidate must have a current NMLS License. Your hours can be flexible if necessary and compensation is very competitive in the industry for the right person. Leads Provided! We generate quality leads in house with our marketing and advertising programs – we do NOT buy generic leads lists that waste your time! We have more prospects than we can handle and need the help of a few great Loan Officers or Loan Officer Assistants. If you are currently an Assistant that wants to and can handle loans we can provide the leads! SCL Mortgage is looking for great Mortgage Originators that want to make a difference in people’s lives. If you are looking for a Lender who can do all the conventional loan programs as well as the new exploding NON-PRIME market that is SCL contact us and let’s talk. SCL Mortgage has all the Investors for Conventional Loans but what we have in addition to that are relationships with Non-Prime Investors which allow us to do loans for people with that “Special Circumstance” in their history. You can double your income with this new emerging market with very little competition. Honesty, Integrity and hard work are the most important qualities to have. We believe in 3 things. You must make money and successful Originators do make money with us. You must have fun. If you are not having fun at what you do, then make a change. Markets and promotes Expert Financial Mortgage Products. Originates purchase or Refinance transactions by taking complete and accurate loan applications. Evaluates Expert Financial and other loan products and services and determines which financial products best meet the customer’s needs and financial circumstances. 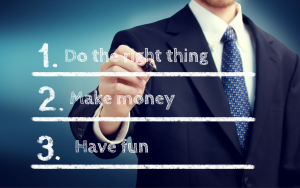 If you always do the right thing, like to make money and like to have fun you might want to call us.